Paper presented on October 17, 2014 by Paul Wilford at What is Liberal Education For? : a conference at St. John's College on the 50th Anniversary of the Santa Fe campus. 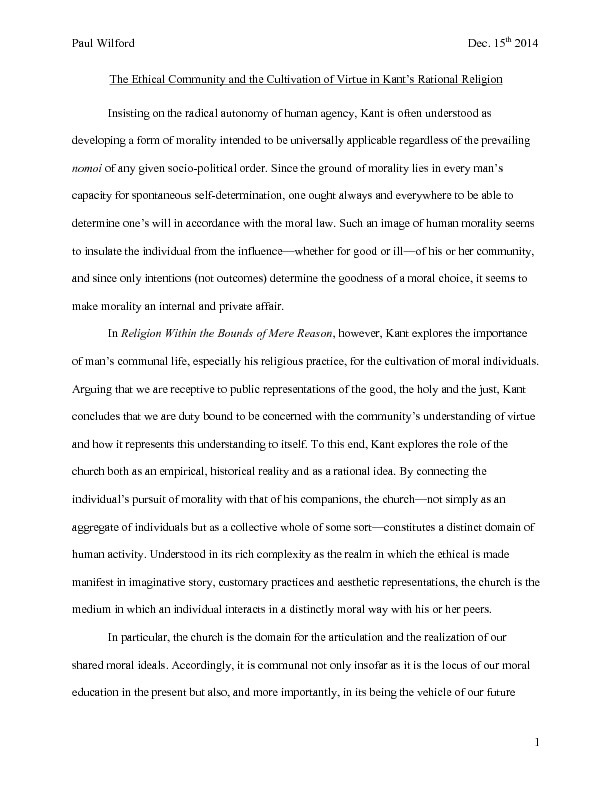 Wilford, Paul, “The ethical community and the cultivation of virtue in Kant's rational religion,” St. John's College Digital Archives, accessed April 24, 2019, http://digitalarchives.sjc.edu/items/show/676.